In 2000, Ms. Bartolone launched a full service worldwide meetings management company called Meeting Sites Pro, Inc. (MSP) and in 2003, she launched an ACCME accredited medical education company called CME Pro. In these capacities she has supported a diverse client base across therapeutic areas and industries which include technology, association, pharmaceutical, healthcare, medical device, education, and government. While MSP has worked with a diverse client base, her specialty has been in the Life Sciences Industry with a focus on implementing Advisory Board Meetings, Investigator Meetings, Educational Workshops, and other HCP focused conferences. 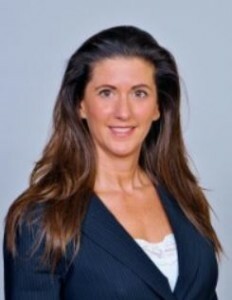 Based on this focus in the Life Sciences, in January 2014, Michelle started SM Squared (SM2); DBA Meeting Sites Pro, Inc. Over the years, Michelle has become well versed on the many guidelines and regulations that effect Life Science companies and has become a key opinion leader in this area. She stays informed on the ever changing policies that shape PhRMA and AdvaMed as well as the Open Payment Act requirements. Since 2005, she has been a speaker and acted as an advisor to the Center for Business Intelligence’s Pharmaceutical Meeting Management Forums. In 2013, Michelle chaired the first Certified Meeting Professional in Healthcare Compliance (CMP-HC) Group and is one of the first in the world to become certified as a CMP-HC. She is well versed on the many changing Federal and State regulations as well as PhRMA and AdvaMed guidelines impacting a variety of programs. In 2015, Michelle was appointed to a newly formed Certified Meeting Professionals Governance Commission by the Convention Industry Council of America to govern the CMP program and further the future of our profession.